Greetings from your keen WoodWeek news team. The plant nursery industry is calling for the Government to make quicker progress with the One Billion Trees plan. The Government is aiming to plant one billion trees by 2027. “It’s going to take a while to scale up,” Forestry Ministry Shane Jones said. So far, 60,642,000 trees have been planted since the One Billion Trees plan was announced. However, forestry officials working on the flagship plan ordered more than one million pine seedlings for a block of land so choked with scrub and weeds planting couldn't go ahead. 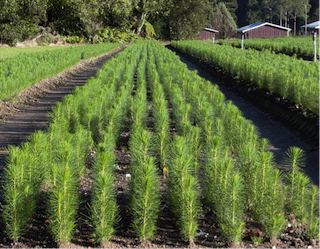 Official documents show Te Uru Rakau planned to plant 1100ha with pine this year and had ordered about 1,100,000 seedlings for that. The number of seedlings able to be planted collapsed to 191,000 as the condition of the land was revealed. MPI has yet to put a dollar figure on the cost to taxpayers, but market rates for seedlings put the cost of the order at about $400,000. The Minister claims the cost to the taxpayer is more like $160,000 and as the story continued in the news, a local iwi has taken responsibility for the lack of land preparation. 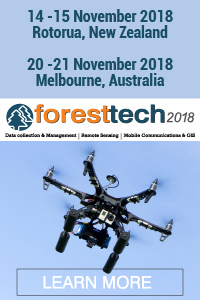 Solving challenges both forestry and farming and improving productivity through technology will be key themes at next year’s MobileTECH 2019. Now in its 7th year, MobileTECH will, once again, bring together the agri-tech leaders, tech developers, industry corporates and early adopters into Rotorua. A recent industry study showed that digital products and services will make up 55% of New Zealand’s GDP by 2021. Over this time, digital transformation will be providing better margins for companies. Estimates are that this will add over NZ$10 billion to NZ’s national GDP. US timber tariff: Who will benefit? Gough Cat has just announced the have an agreement with United States company Weiler Incorporated to distribute its forestry product line in New Zealand. “Gough Cat and Weiler look forward to growing our relationship further through distributing this portfolio of products for the forestry industry through our extensive dealer network throughout New Zealand,” says Chris Heaton. “We are excited to have Gough Cat as the exclusive Weiler dealer for New Zealand, their great history of product support and taking care of customers fits our needs to continue to grow the Weiler brand,” says Pat Weiler, owner and founder of Weiler. “We remain strongly committed to our forestry business and expect Weiler’s forestry customers will benefit greatly from the exceptional sales and service that Gough Cat are proud to be known for,” says Chris Heaton. The new agreement follows an announcement by Caterpillar Inc in August that it had entered into a preliminary agreement to sell some of its forestry business to Weiler. “This is a positive move and a smooth transition is well underway, supported by Weiler’s proven track record of working with Cat dealers all over the world,” says Chris Heaton. The plant nursery industry is calling for the Government to make quicker progress with the One Billion Trees plan. The Government is aiming to plant one billion trees by 2027. “It’s going to take a while to scale up,” Forestry Ministry Shane Jones said. So far, 60,642,000 trees have been planted since the One Billion Trees plan was announced. “By the time the next election comes, we would well and truly have cracked our hundred-million mark - a mix of exotics and native,” Mr Jones said. The Ministry for Primary Industries estimates 500 million trees will be planted through current national rates, but it’s been tasked with increasing the rate of planting to provide the other 500 million. Lyndale Nurseries director Malcolm Woolmore told TV1 News the industry wants to see greater details and action to know the programme is “real". He said the nursery industry has the capacity to reach the goal but need to know what natives are required, where and when. “Ninety per cent of tree production is made to contract orders,” Mr Woolmore said, explaining that some natives can take up to five years to grow for selling. Mr Woolmore also said MPI needs greater support to deliver its role in the plan. China announced a 25% tariff on US imports, on a value of $16 billion from 23 August. The taxed products include $1.83 billion of wood products and logs. A large range of wood products are listed in the tariff list, including oak logs, birch logs, OSB, spruce, larch, teak, wooden window frames, shelves, furniture etc. China is the biggest importer for American wood products. 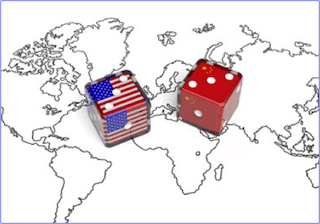 The United States exported 6.14 million m3 logs to China, accounting for 53.9% of US logs, and 3.27 m3 lumber, accounting for 38% of US sawn timber exports, according to the U.S Bureau of Statistics. The China market represents half of total US log exports, and one third of its sawn timber exports. The US tariffs will increase the cost of US wood imports, which will make America timber gradually lose its competitiveness and market position in China. China Timber has forecast that Chinese buyers may turn to other countries such as Russia and Europe as the properties of timber from those countries are very similar to that of the US. Solving rural producers’ challenges and improving productivity through technology will be key themes at next year’s MobileTECH 2019. Now in its 7th year, MobileTECH will, once again, bring together the agritech leaders, tech developers, industry corporates and early adopters into Rotorua. A recent IDC study, commissioned by Microsoft, showed that digital products and services will make up 55% of New Zealand’s GDP by 2021. Over this time, digital transformation will be providing better margins for companies and its estimated will have added over NZ$10 billion to NZ’s national GDP. What’s striking is the speed and widespread impact of change, forcing many traditional companies to evolve with it. Digital technologies leading this charge include innovations like mobility, cloud computing, Internet of Things and artificial intelligence. This comes off the back of a report last year by the Massey Business School, which examined the impact of cloud computing and other disruptive technologies on the agricultural sector. After interviewing technologists and agri-food producers, there was a wide gap in how these two groups perceived the industry in the future. Lead researcher, Professor Stephen Kelly, was quoted as saying, “what the agrifood sector is currently doing is brilliant, they are agile, very accepting of new technology and continually looking for better ways of doing things. But most aren’t visualising what the industry will look like in 10 years’ time.” This could have major implications for the sector. Globally, there are 2.5 quintillion bytes of data created every day. Over 90% of the world's data has been created within the last two years. Technologies like the Internet of Things will dramatically increase these numbers. The problem is no longer about how to collect data – it’s how to get the right answers at the right time for the right purpose. Our farms, forests and worksites are becoming more connected than ever and we are rapidly accumulating data. Remote sensors are in our fields, GPS units track our vehicles, UAVs and satellites provide imagery data and electronic tagging is optimising distribution. The primary sector now has more data points than can be comprehended. The demand is now not just technology, but how to get the right analysis, recommendations and application. Further details on the MobileTECH 2019 programme can be found on the event website, www.mobiletech.events. The event runs on 3-4 April 2019 in Rotorua, New Zealand. Forestry officials working on the Government's flagship One Billion Trees plan ordered more than one million pine seedlings for a block of land so choked with scrub and weeds planting couldn't go ahead - Forestry Minister Shane Jones told the Herald "ambition" and "enthusiasm" had a part to play in planting delays which struck the $32 million inaugural joint venture on the Far North forestry block. Official documents show the Government planned to plant 1100ha with pine this year and had ordered about 1,100,000 seedlings for that. The number of seedlings able to be planted collapsed to 191,000 as the condition of the land was revealed. The Ministry for Primary Industries has yet to put a dollar figure on the cost to taxpayers, but market rates for seedlings put the cost of the order at about $400,000. 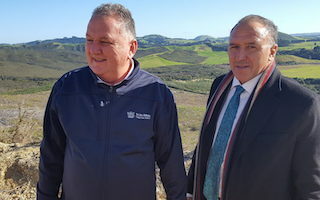 The deal between the Crown and the Far North's Ngati Hine Forestry Trust was trumpeted by the Beehive as the first Crown joint venture in the One Billion Trees programme. Documents released through the Official Information Act show Jones sealed the agreement during a May 31 ceremony on a Ngati Hine forestry block, at which he planted a tree using a shovel engraved with his name. For the next chapter in this story, see Radio NZ's (RNZ) story where the Minister claims the cost is only $160,000. And, what appears to be the final chapter: Now the local iwi have taken responsibility for the botch-up (see further RNZ reporting below). When myrtle rust arrived in New Zealand in 2017 it was all hands on deck for many of the country’s research providers. Scion is part of a multi-disciplinary research team focused on learning what we can about myrtle rust in New Zealand, conserving the susceptible species and developing effective ways to manage it. Achieving a robust research baseline - Over the year since myrtle rust was discovered, a number of new and diverse research programmes have begun. Scion is leading a new approach to engagement with Maori and interested groups including horticulturalists, conservation groups, government departments, regional councils and science groups. The focus of bringing these groups together is to create a consistent approach to the long-term monitoring and surveillance of myrtle rust. This will ensure that all groups are using the same measures New Zealand wide, creating a reliable baseline that can be compared against overseas data. Work to develop a system and tools to complete this surveillance and monitoring will take place next year. The team also has begun collecting seed for exotic and native Myrtaceae around New Zealand and is working closely with mana whenua around the country to obtain seed from taonga species in accordance with local tikanga. The germplasm of these plants is retained by mana whenua and either stored on their behalf or returned to them. Future work will see engagement with iwi and seed collection undertaken across the nation. Some of this seed is being sent to Australia to test against the same strain of myrtle rust as is present in New Zealand because currently testing cannot be done in New Zealand. Seed is also being sent to South Africa and South America where different strains of myrtle rust are present. “By sending our seed to our southern hemisphere neighbours, we can compare our material against theirs and gauge how susceptible New Zealand’s myrtles are,” says Research Leader Dr Beccy Ganley. Back on the home ground, Scion is working with Plant and Food Research and Manaaki Whenua, preparing comprehensive reviews investigating the potential for resistance breeding and control methods suitable for New Zealand conditions. Scion is also leading a social science theme to the myrtle rust response. By exploring engagement and social licence, we are gaining a new perspective on the response to the initial incursion, and how it might be improved going forward into long-term management or for future incursion responses. These projects are an important beginning in what promises to be a hard fought battle for New Zealand’s beloved Myrtaceae plants. Milk bottles might soon be appearing on farms up and down the country, but you won’t find them in the fridge. “This partnership provides farmers with an environmentally-friendly fencing option, made from the packaging of our farmers’ milk, which is pretty special,” says Larisa. 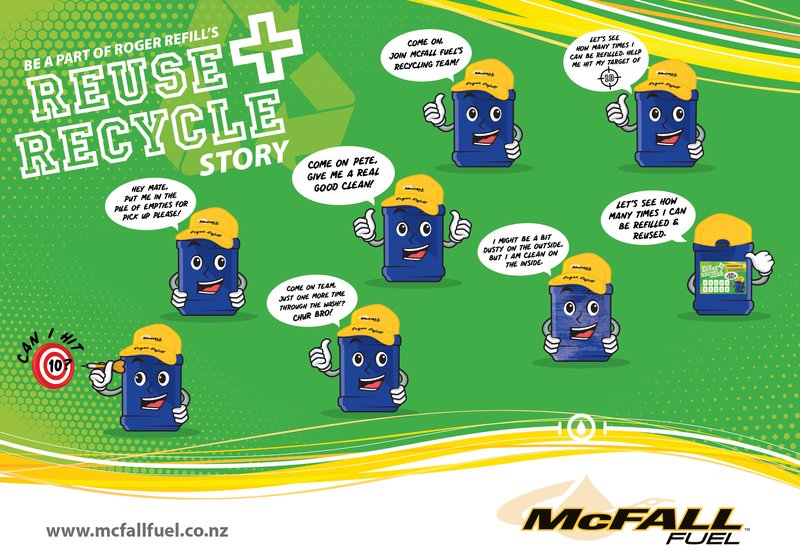 The Future Post™ partnership is the latest waste reduction initiative from Fonterra. Last year, the Co-op partnered with SKYCITY to turn Anchor™ Light Proof™ milk bottles into shampoo, conditioner and body lotion bottles for guests. Managing Director of Future Post™, Jerome Wenzlick, says it’s great to have support from Fonterra and he’s looking forward to developing other sustainable products for farmers. 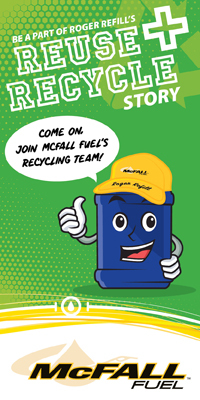 “What we’re doing is repurposing waste that could have gone to landfill and turning it in to a valuable product for consumers,” says Jerome. Anchor Light Proof milk bottles are collected from the Fonterra Takanini site and transported to the Future Post Waiuku plant, where they are mixed with soft plastics and turned into fence posts. The fence posts will be available in selected Fonterra Farm Source stores across the North Island in the New Year, with plans to launch in South Island stores mid-2019. 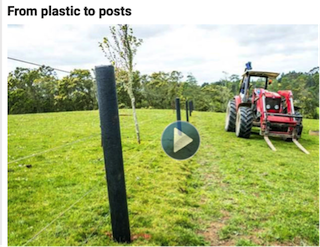 Fonterra CEO Miles Hurrell and Future Post Managing Director Jerome Wenzlick revealed a first peak at the posts at Fonterra’s Open Gates event in Karaka. "A slab of swamp kauri labelled a table top would not fit" the definition of manufactured product in the Act, the judges concluded. "The use as a table could not be discerned from the product itself. Further, a table top is not a product in its own right and thus is not ready to be installed in a larger structure." 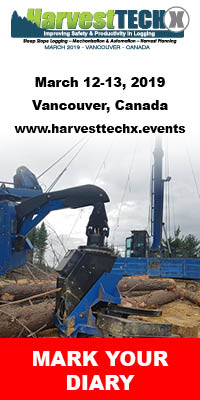 The Forests Act defines a manufactured product for export as needing to be sent over the wharves "without the need for further machining or other modification”. Likewise, logs would "almost always require modification before being ready for use or installation," the judges said. "Merely labelling a log a totem or temple pole does not change this." Where tabletops were concerned, adding legs or other mountings or producing the product as a self-assembly kitset would not be enough to get around the law, although "a crafted rustic bespoke table would clearly come within" the legal definition of a value-added product, "even if the table had a table top that, considered alone, could be classified as rough sawn timber." A government research programme has positioned New Zealand as a world-leader in research into mitigating greenhouse gases from agriculture and adapting to climate change, a recent independent review has found. The Ministry for Primary Industries’ (MPI’s) Sustainable Land Management and Climate Change (SLMACC) research programme supports the generation of new climate change knowledge across New Zealand’s agriculture and forestry sectors. The independent review found SLMACC has triggered new research, and boosted New Zealand’s understanding of the potential impacts and implications of climate change for a range of primary industries, particularly pastoral farming systems and responding to drought. “Climate change affects every one of New Zealand’s land-based producers, from farmers, growers and foresters, to the communities that support them,” says Steve Penno, Director Investment Programmes at MPI. “The review found it’s creating high quality research, engaging stakeholders and end- users, growing climate change science capability in New Zealand, enabling international collaborations and supporting researchers early in their careers to build their capability and experience. The SLMACC research programme recently celebrated its 10-year anniversary, marking an investment of around $50 million in more than 150 targeted basic, applied and policy research projects. A number of its projects are showcased in Investing in tomorrow, a booklet released in September 2018. Investing in tomorrow and copies of the review reports (including a summary of findings) are available on the Sustainable Land Management and Climate Change web page at mpi.govt.nz/funding. Salt’s Carbon Fund Debuts on the NZX - Ticker code confirmed as CO2 – Salt Investment Funds Limited (Salt) is proud to be listing New Zealand’s first-ever Carbon Fund (Fund) on the NZX today, which will trade under the ticker code ‘CO2’. Salt has initially raised more than $1 million in applications from a diverse group of retail and institutional investors. The Fund is open-ended and will continue to accept applications with a strong pipeline of interest. Paul Harrison, Managing Director of Salt, said: “We want to acknowledge and welcome all our initial investors in the Carbon Fund, and we look forward to receiving ongoing applications. “There has been a healthy level of interest and support. This is uncharted territory for many investors, so we are particularly pleased with the result. “We are receiving interest in the fund from three broad investor categories: those seeking to invest in the future price of carbon as a commodity; those with a financial risk exposed to a higher price on carbon; and those who want to contribute to slowing climate change. “Listing the fund on the NZX is about providing investors with a transparent and dynamic trading environment, which in turn will build a stronger understanding of the investor market for carbon,” said Mr Harrison. “We started work on bringing a Carbon Fund to market more than six years ago. Now is the right time to be doing this – ahead of the significant social, economic, environmental and technological change coming in response to our warming climate,” he added. The fund’s risk rating is calculated as high. Salt encourages any interested investor to seek independent financial advice before making any investment decision. Investors can continue to invest directly in the Carbon Fund throughwww.carbonfund.co.nz. The Carbon Fund is managed by Salt Investment Funds Limited, a wholly owned subsidiary of Salt Funds Management Limited. The Product Disclosure Statement can be found on www.carbonfund.co.nz. A woman walked into the kitchen to find her husband standing around with a fly swatter. "Oh really ... killing any?" She asked. "Yep, got 3 males and 2 females," he replied. Intrigued, she asked, "how can you tell them apart?" "3 were on a beer can, 2 were on the phone." outback appeared before St. Peter at the Pearly Gates. "Well, I can think of one thing," the drover offered. I came across a gang of bikers who were threatening a young sheila. I told them to leave her alone, but they wouldn't listen. him in the face, kicked his bike over, ripped out his nose ring, and threw it on the ground. I yelled, "Now, back off!! Or I'll kick the crap out of the lot of ya!" "A couple of minutes ago."